The United States Fencing Association (USFA) recently announced they are taking applications for the 2013-14 Absolute Fencing Gear All-Academic Team. The equipment vendor, Absolute Fencing, and the USFA have partnered to recognize young fencers who have excelled in high school with All-Academic Team honors. Athletes with a GPA of at least 3.85 are eligible to be named to the First All-Academic Team. Second Team athletes will include those whose GPAs were 3.7-3.84. Athletes with 3.5-3.69 GPAs received are recognized on the Honorable Mention Team. Absolute Fencing has pledged $10,000 in scholarships for the All-Academic Team program. One female and one male applicant will receive $4,000 each based on both their GPA and essay. Two additional applicants will receive $1,000 each based on their submitted essay. The deadline for the program is May 7, 2014. To apply, click here for the online application. In addition, the Connor Porter Memorial Scholarship is also available for interested applicants. The scholarship is made possible through the generous donation from Connor’s family members – Trish and Shannon Porter. 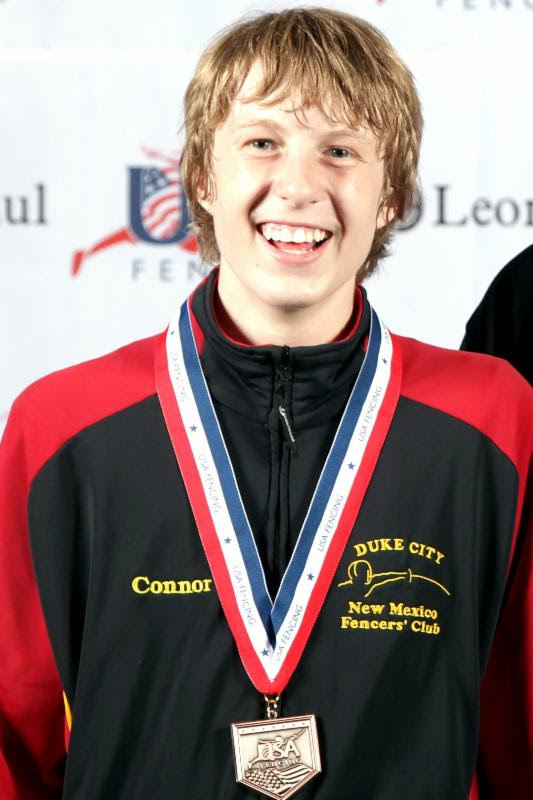 Connor passed away on July 26, 2012 in a plane crash with his father, Pat, and another friend shortly after winning bronze in the Division III foil event at the Summer Nationals in Anaheim. Connor had many friends in the fencing world and was well known for his sportsmanship and encouraging others. For more information on the Connor Porter Memorial Scholarship, please click here. The online application must be completed by May 7, 2014 and can be accessed through this link. If you need additional assistance, please contact the National Office at information@usfencing.org. This entry was posted in Scholarships and tagged Absolute Fencing Gear, academic athletes, High school fencing, USA Fencing, USFA on March 20, 2014 by A.B. Schafer.